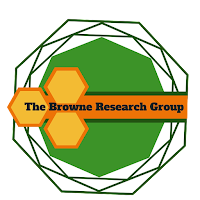 The Browne Research Group welcomes Christiane Schotten who joins as the first PhD student! Congratulations and good luck to her on her chemical adventures, no pressure! Christiane joins from RWTH Aachen where during her B.Sc. she conducted a final year research project with Prof. Palkovits. For her M.Sc. degree she carried our projects with Prof. Wessling, Prof. Liauw, Prof. Bolm, Prof. Leitner and Prof. Lapkin (University of Cambridge). Christiane enjoys swimming, singing and board games and has promised to supply biscuits from her home town!